I recently watched Fabio's super motivational clip (below) on how to make gnocchi and I was like, "That's it? I can do that." So I did...sort of. I figured why not dress it up with rosemary and see what happens. First let me start by saying I am not a fan of the mixer. I'm really not a fan of extra kitchen gadgets in general. Okay really I'm just not a fan of doing extra dishes. But for this recipe I actually lugged out my hand mixer, climbed to the highest, darkest corner of my pantry to find a deep enough bowl and attempted homemade gnocchi. I actually had to buy all-purpose flour for this -- that's how un-baker I am. I was so close to doing Fabio proud. The result: I should've meditated, said a little prayer or whatever I needed to do to zen out like the kitchen ninja I'm not, and cut those little suckers smaller. They weren't bad but they were a little too doughy to take on the other flavors. The rosemary was a great addition in moderation (meaning my first batch I added way too much of it) and it definitely needed Parmesan. All in all, I learned my lesson: leave the gnocchi to my neighborhood Italian restaurant. Fabio: He's not raising the bar for a good gnocchi, he IS the bar. Bake the potatoes the night before and let them sit in the refrigerator for a few hours, overnight if possible. Peel and chop the baked potatoes. Push the potatoes through a ricer or a food mill. 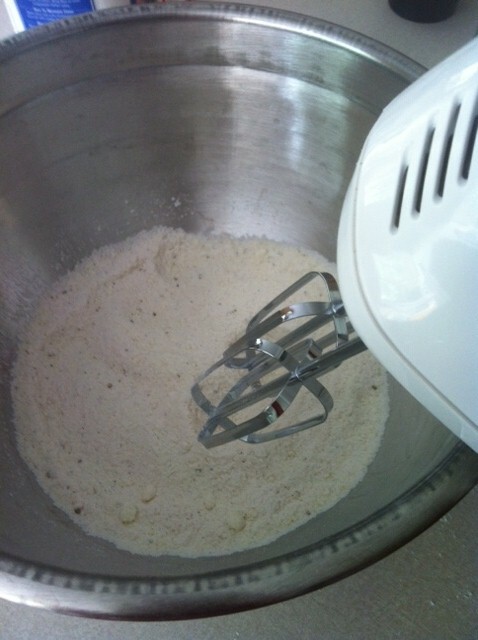 In a stand mixer with a paddle attachment, mix the flour, cheese, nutmeg, salt and pepper. Add the potatoes to the mixer and work for 5 minutes. 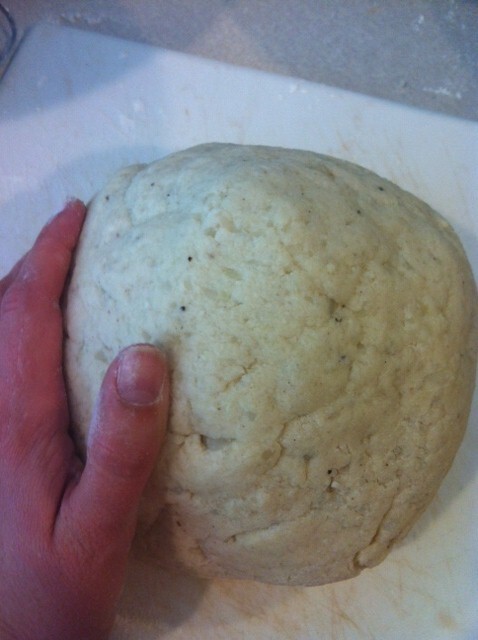 Remove the dough and shape into a fist sized ball. Press out any air bubbles. Roll into a tube and cut the gnocchi in about 1 inch pieces with a sharp knife. Place the gnocchi in boiling water to cook. All the gnocchi is ready when the first pasta rises to the top of the boiling liquid. Put oil, chopped or minced garlic, and chopped rosemary in a skillet. Place gnocchi in the skillet and cook till slightly beginning to brown. Enjoy! Letting my ingredients "date" for a while. You're right, Fabio! No need to add water...I totally would have. This is where I get a very slight thrill (what I imagine bakers feel) when I realize it's looking like it should. Oh snap. How much more do I hafta roll? Tonight's dinner will be: more gnocchi! Oh I'm laughing so hard! 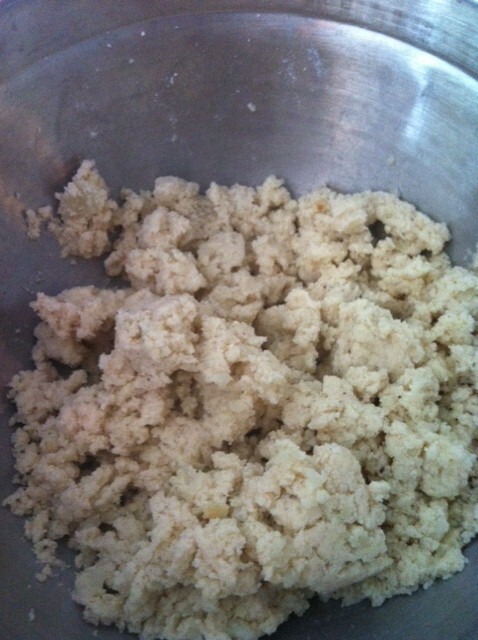 Every time I've attempted homemade gnocchi I've ended up frustrated and with flour all over myself and the kitchen. And it always takes way longer than I plan for. I'm at work, so I didn't watch the video, but I will and I will try this again! I LOVE the idea of adding rosemary to the dumplings - yum! Finally watched Fabio’s video and guess what? You got it … I’m really hungry for gnocchi! I’ve never seen a recipe that uses a mixer and doesn’t use eggs. “From dry to nice” … as soon as I have a weekend at home, I’m trying this recipe! And of course adding rosemary to the dough and Trader Giotto’s secret sauce! And I'll add parmesan like it’s raining – Fabio, I love you! Wouldn't his PCC cooking class be the best?! Yes, adding rosemary to the dough. That was my original intent but I blanked it and didn't want to rewind a couple steps so I added it to the sauce instead and it was actually a great add. Btw, I meant garlic not onion...changing that.